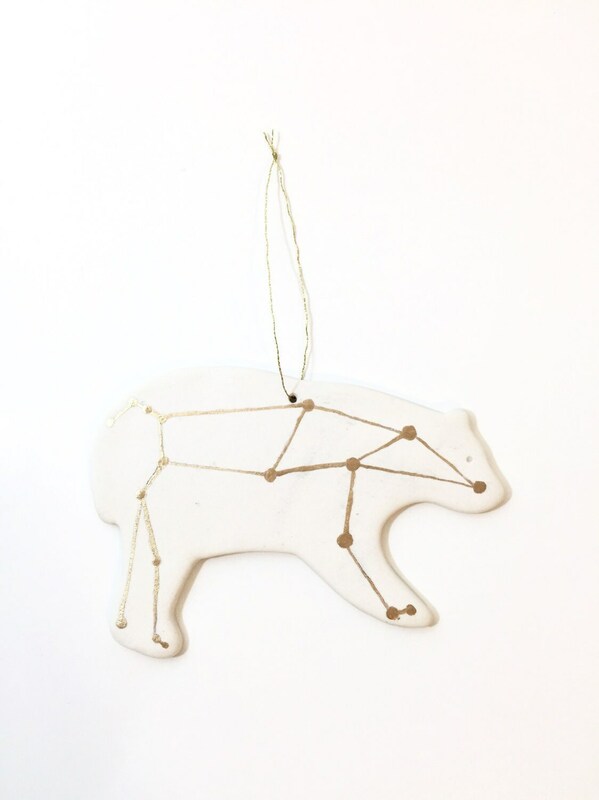 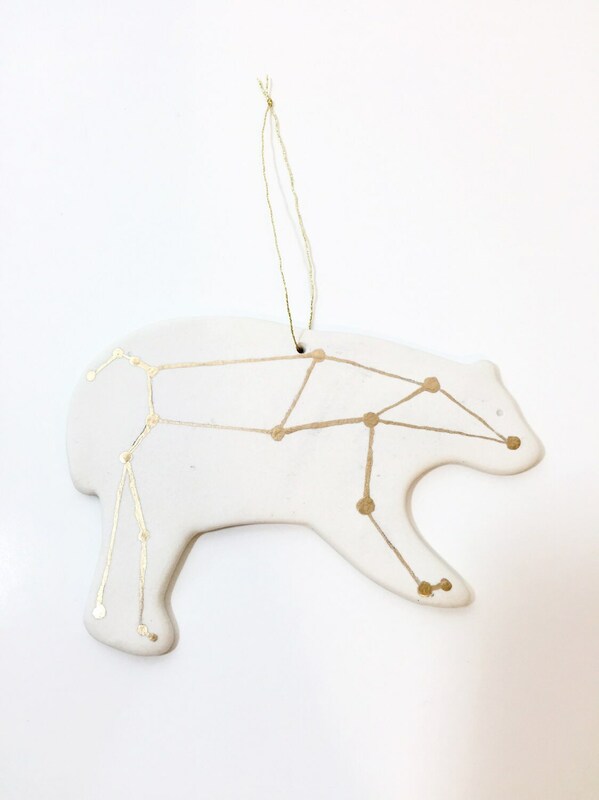 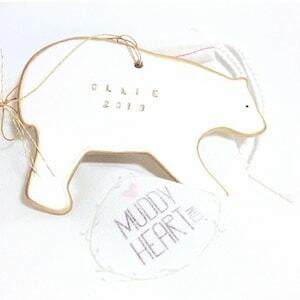 I love constellations and the vast sky, in honor of this I created my signature bear ornament with hand-painted gold leafing to display the Ursa major constellation also known as THE GREAT BEAR . 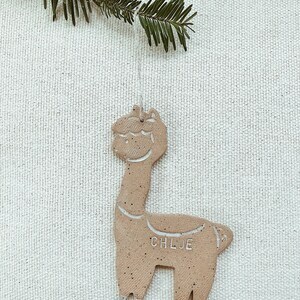 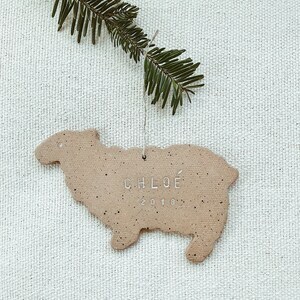 It perfect for all christmas decor. 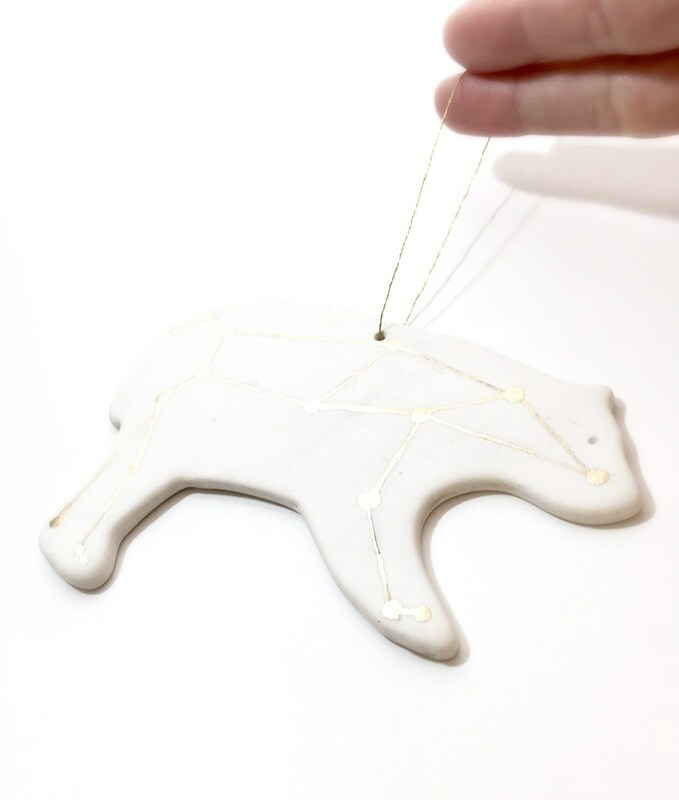 the constellation design is all gilded by hand to add a bit of understated glam, while the ornament itself is left glazed in matte clear for a delicate and minimal look. 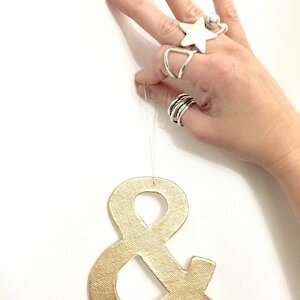 It is finished to a very smooth , matte texture. 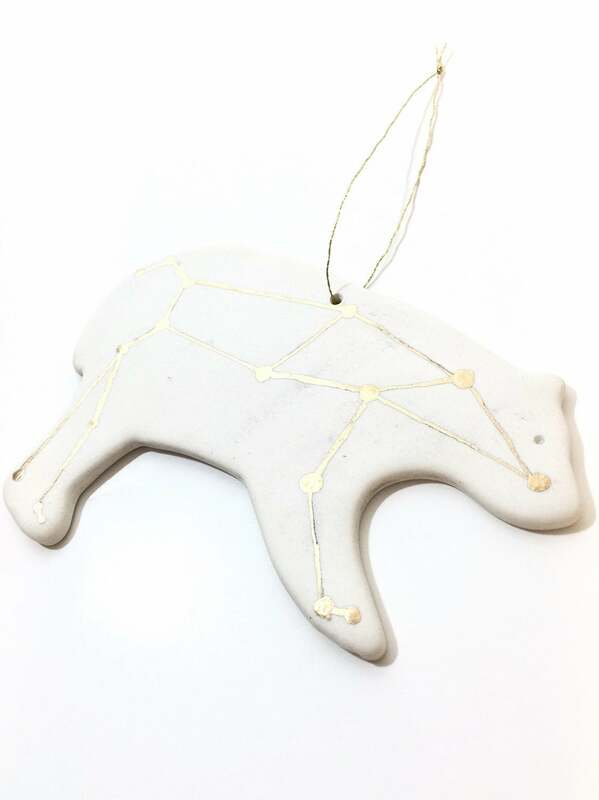 It securely hangs from gold floss.